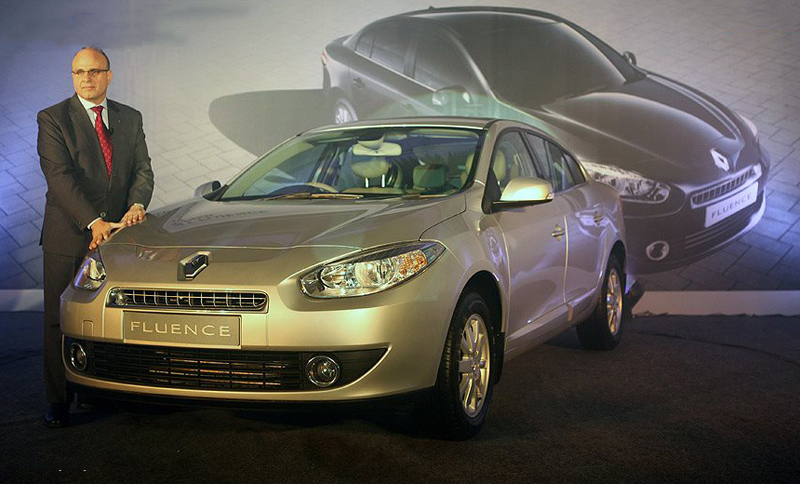 Renault Fluence was a spectacular car, very French in its appeal, styling. But sadly, the power was not upto the mark. Overcoming that, the French automaker has given the sedan a boost of performance with the new 1.5-litre dCi diesel engine that churns out 108.5 bhp and a thrust of 240 Nm. We had bought you the news of the French automaker launching an upgraded version of the premium sedan, the Fluence E4 D. The sedan receives upgraded power plant, but there is no automatic transmission featured. Thanks to the redesigned turbochargers and reworked fuel injectors, the new Fluence boasts 108.5 bhp from the previous 104 bhp. Developed in collaboration with the German auto-giant Daimler, the new power plant delivers a straight torque curve while refining the output. It has a power to weight ratio of 71 bhp/ ton that is one horse pulling 14 kg of weight. ARAI tested fuel efficiency of the Fluence is 20.4 kmpl. On the inside, there is no significant change with the top-notch quality and uncompromised comfort. In terms of safety, the new Fluence sports four airbags, traction control and Electronic Stability Program (ESP). Other features include dual-zone climate control, pass key, Bluetooth supported media, 16-inch alloys, leather seats, rain and light sensors. Nissan facility in Oragadam near Chennai will be the production platform for the new Fluence. Its production capacity has been ramped up from annual 2 lacs units to 4 lacs unit. 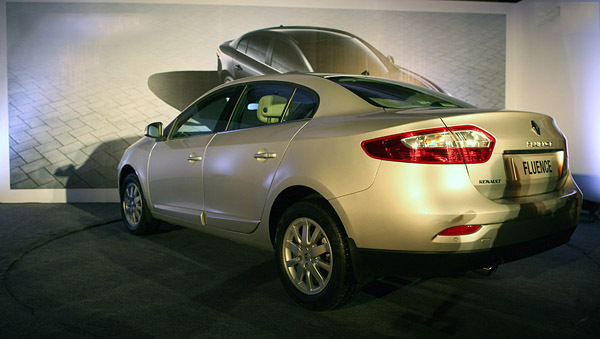 Priced at Rs 15.2 lacs (Ex-Showroom Delhi), the Fluence E4 D will go up against the Toyota Corolla, Skoda Laura and VW Jetta.